Along with cleaning, checking, and organizing your gear, winter is a great time to practice tying your fishing knots, and of course learning some new ones. The good news is that the Internet makes that fairly easy with a number of websites that illustrate a range of fly fishing knots both new and old. Consider, for example, my personal favorite — Grog’s Fishing Knots, which provides wonderfully illustrated knot-tying instructions for all the biggies. And if you’re into video, you really should check out VideoFishingKnots.com. Very cool site, too. But there are others. 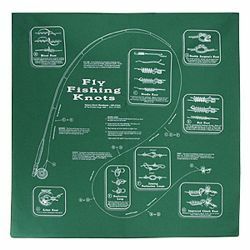 FlyMart Online has a nice page on knot-tying. And of course Midcurrent is always good for a page on a topic like this. I recently discovered a site that previously I had not known about with a nice section on knots and tying. 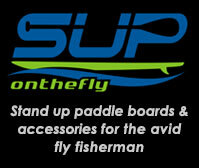 Check out TheFlyFishingDVD.com for good stuff on knots and other topics, as well. Of course, if you’re like me, and just can’t remember all your knots in the heat of battle, you can cheat — a bandana of fly fishing knots might really just be all you need.